The European Parliament has voted to adopt the highly controversial Article 13 provision which would govern the production and distribution of content online under the auspices of increasing copyright protections. Tuesday’s move will update the EU's 20-year-old copyright rules and will govern audiovisual content, much to the dismay of many social media users who have already begun outpouring their grief online. The process of updating the bloc's copyright laws began in the European Commission two years ago, ostensibly to protect Europe's publishers, broadcasters and artists and guarantee fair compensation from big tech companies. 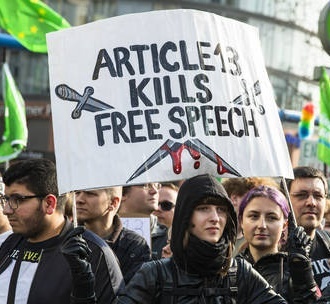 Critics have argued that the only way for Article 13 to be effectively enforced would be through the use of upload filters which automatically check content to see if it's copyrighted or not, at least in theory. However, the exact mechanics of such a system have yet to be fully debated and the potential for abuse is immediately clear. What will it mean for our Forum and site is unknown for now but one thing is for sure it's a dark day for internet freedom.